BEIJING - Beijing accused Tokyo on Thursday of worsening strains in bilateral relations by announcing Tuesday that a Chinese warship locked its weapons-targeting radar on a Maritime Self-Defense Force destroyer in the East China Sea on Jan. 30. 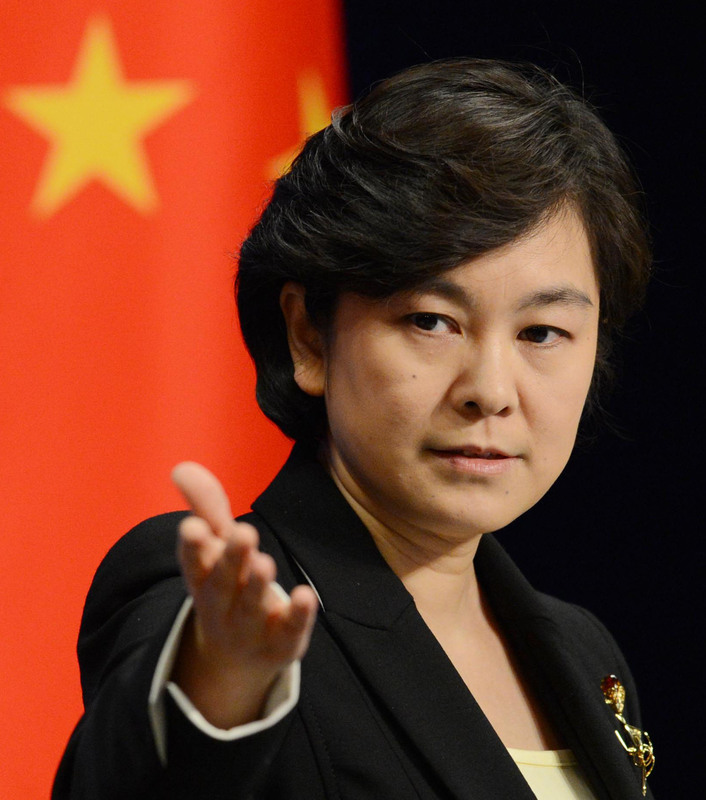 “Recently, Japan has been hyping crisis and deliberately creating tension to smear China’s image,” Chinese Foreign Ministry spokeswoman Hua Chunying said at a press conference. Earlier Thursday, Defense Minister Itsunori Onodera criticized China’s use of fire-control radar on the MSDF vessel, saying such action could represent a threat of military force under the U.N. Charter. It was also reported earlier that another Chinese warship engaged its target-lock radar on an MSDF helicopter on Jan. 19. Asked if China would explain to Japan about the Jan. 30 incident, she only said “competent Chinese authorities” have been conducting “sincere and serious” investigations into the case. Defense Ministry officials said Wednesday the Jan. 30 incident, which Japan called “extremely abnormal” and noting a single mistake could have led to “a very dangerous situation,” occurred about 100 km north of the Senkaku Islands. Earlier reports said the Chinese frigate and MSDF destroyer were only 3 km apart. The uninhabited islets have been administered by Japan basically since 1895, but in recent decades have been claimed by China and Taiwan, which call them Diaoyu and Tiaoyutai, respectively. 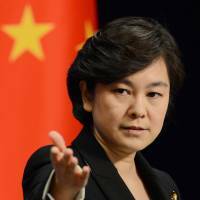 “The current problem is not China being assertive, but about Japanese ships’ and airplanes’ repeated illegal activities in airspace and waters off the Diaoyu Islands, which undermine China’s territorial sovereignty,” she said. “We hope Japan can face up to history and reality, meet China in the middle and make concrete efforts toward this end,” she added. Since Japan effectively nationalized the Senkakus in September, the Japan Coast Guard has repeatedly been confronted with Chinese fisheries surveillance vessels. Other than the reported scramble of Air Self-Defense Force F-15 fighters to shoo away a Chinese government airplane that intruded over the Senkakus, little mention has been made of the involvement of the Self-Defense Forces and the Chinese military in the territorial dispute.